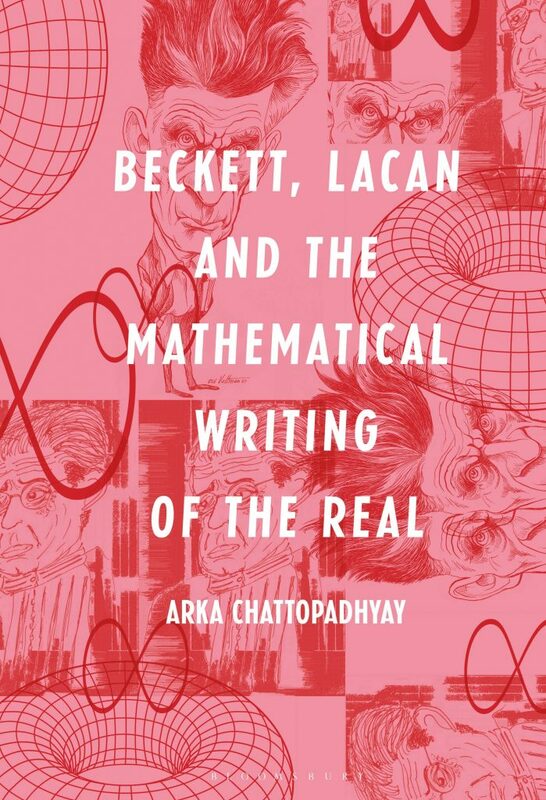 Arka Chattopadhyay answered a few questions for us about his new book, Beckett, Lacan and the Mathematical Writing of the Real. It is a comparatist reading of how mathematical forms operate in the literary texts of Samuel Beckett and how Lacan’s ideas of mathematical forms work in psychoanalysis. What drew you to writing about this subject? It was an interest in Beckett and Lacan’s work, coming out of my training in literary studies and critical theory that drew me to the writing on this topic. As I went deeper into the project, I got more and more fascinated by the possibility of responding to mathematical questions from an aesthetic and human point of view. For instance, can we consider the positions and shifts, generated by the moving human body as a mathematical form of writing? In other words, how does the moving body write itself in space? What does it etch? These are some of the questions I tackle in Beckett and Lacan. This book is the product of more than a decade’s research on the topic which included an M.Phil and a doctoral dissertation, as well as a clinical training in Lacanian psychoanalysis. I came to study Beckett as a literary undergraduate and it was the enigmatic difficulty of his writing that drew me to it. I still remember the moment when, as a first year undergraduate student of English literature, I got hold of two old copies of his novels, Molloy and Murphy from the Presidency College library (Kolkata, India). The year in question was 2004 and I could see that the books had last been borrowed in 1970s! They absorbed me with the excitement of a treasure that had been left untouched for ages! Beckett was all Godot but his novels were far less studied, at least in India in 2004 when Amazon was still in the process of making its foray here! I jumped right into the river! As for Lacan, it was the inspired transmission of two professors (one from Presidency and another from Jadavpur University where I did my Masters in English Literature) that got me on board for psychoanalysis. The mind-bending complexity of Lacan’s thought was a major draw again! I believe it reads new elements in both Beckett and Lacan by demonstrating through close readings of both oeuvres how mathematical questions can be approached at the human and cultural level. For example, do we have an emotional relation with numbers when we count them in our mind in complex moments of distress? Can numbers offer company to the lonely human being? How do we take account of the numerous uses of mathematical figures in Beckett? As I show in the book, the mathematical question of multiplicity is also a human question of community. I also think that the book advances a new way of thinking about mathematical questions in literature and more specifically in Modernist experimentalist literature of Europe in the 20th century. It was a choice that came naturally to me as both my parents are literature people—my mother, a school teacher and my father, a college lecturer in English Literature. From high school onwards, literature and philosophy were the two subjects I was really keen on. Which Bloomsbury Lit Studies books have you read? Which are your favorites, and why? Arka Chattopadhyay is Assistant Professor in the Department of Humanities and Social Sciences at the Indian Institute of Technology, Gandhinagar, India. He co-editor of Samuel Beckett and the Encounter of Philosophy and Literature (with James Martell, 2013) and Endlessness of Ending: Samuel Beckett and the Extensions of Mind (with Dirk Van Hulle et al, 2017). He is co-editor of the journal Sanglap: Journal of Literary and Cultural Inquiry (with Sourit Bhattacharya). His book Beckett, Lacan and the Mathematical Writing of the Real is now available from Bloomsbury. a brief but very stimulating Q & A session to facilitate interest in the book as well as in the subject.